We've had a couple of challenges about the Ulam spiral. But that's not enough. In this challenge we will plot a triangular Ulam spiral (as opposed to the usual, square Ulam spiral). Here's a sketch of what the spiral looks like. As we know, the Ulam spiral arranges all natural numbers in an outward spiral, and marks only those that are prime. So in the above sketch only the numbers that appear in black (the primes) would be shown. Accept a number N as input and display the triangular Ulam spiral up to that number. Input can be stdin or function argument. The spiral should turn in the positive direction (that is, counter-clockwise), as in the above figure. Any of the 120-degree turns of the above figure would be valid, and the turn may be different for different inputs. But the lowest side of the implied triangles should be horizontal, as the only allowed turns are (multiples of) 120 degrees. The code should run theoretically (given enough time and memory) for any N up to what is allowed by any intermediate calculations you do with your default data type. double is enough; no need for large integer types. I won't accept my own answer (not that I think it would be the shortest anyway...). Choose any of the following. 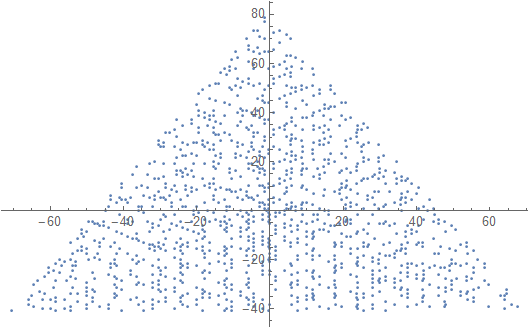 Display a graph with a marker (dot, circle, cross, whatever you prefer) at prime numbers, and nothing at non-prime numbers. Scale need not be the same for the two axes. 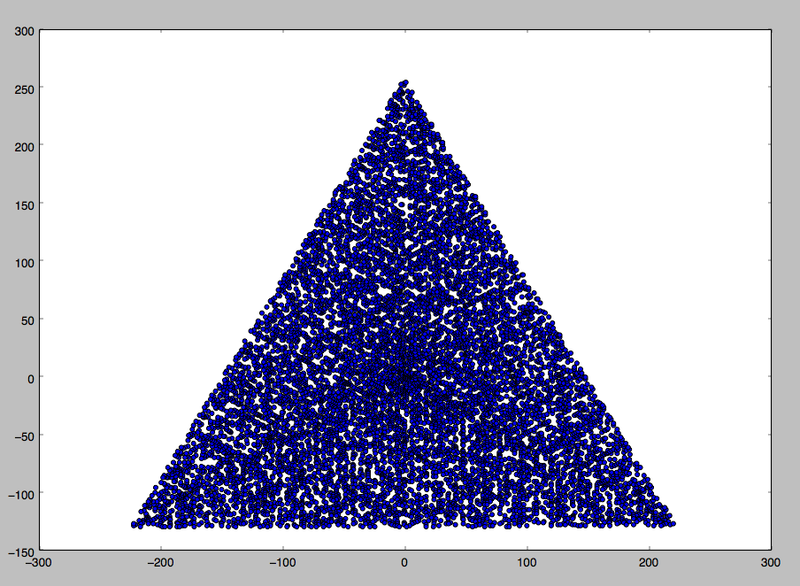 That is, the implied triangles need not be equilateral. Axes, grid lines and axis labels are optional. Only the markers at the prime numbers are required. An example output for N = 12 would be as follows (compare with the above sketch). 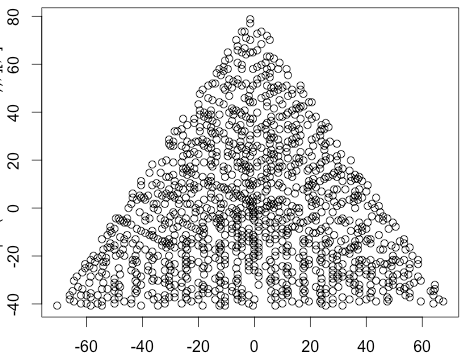 The second plot is a more interesting example, corresponding to N = 10000. Produce an image file with the above, in any well known image format (such as png, tiff, bmp). where of course only the o mark at primes would actually be displayed. The · at non-primes is shown here for reference only. The actual reward is seeing for yourself those amazing patterns Code golf, shortest code wins. 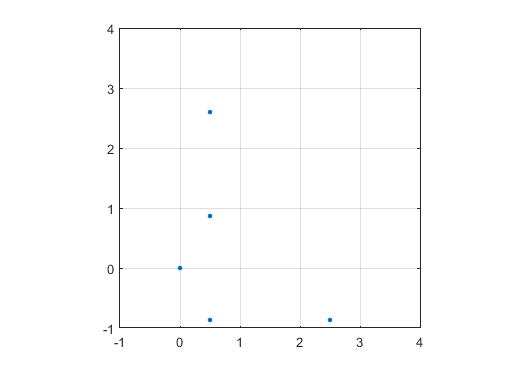 Input as a single integer in STDIN. 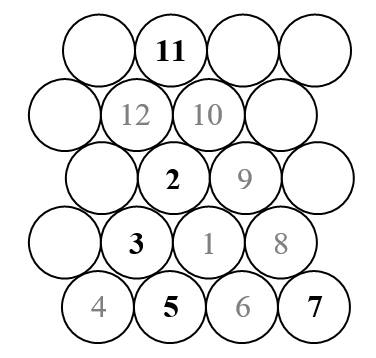 Output as an ASCII grid with 0 for primes. The rotation of the spiral is not consistent: the largest number of the spiral will always be on the bottom row. L     e# Push an empty array. This will become the spiral. ri    e# Read input and convert to integer N.
)   e#   Increment to get 1 to N.
mp  e#   Test for primality. 0S? e#   Select 0 or a space correspondingly. 1$  e#   Copy the spiral so far. ,)  e#   Get the number of lines and increment. /   e#   Split the list into chunks of that size. (a@ e#   Pull off the first chunk, wrap it in an array, pull up the spiral. Wf% e#   Reverse the lines of the spiral. z   e#   Transpose the spiral. +   e#   Prepend the new line. \L* e#   Swap with the remaining chunks and join them back together into a single list. ;     e# Discard the empty list that's left on the stack. e# and the line itself. e# riffles the cells with spaces, creating the required gaps between the cells. e# All of this works because we always end the spiral on the bottom edge. e# different indentation such as in the N=12 example in the challenge. 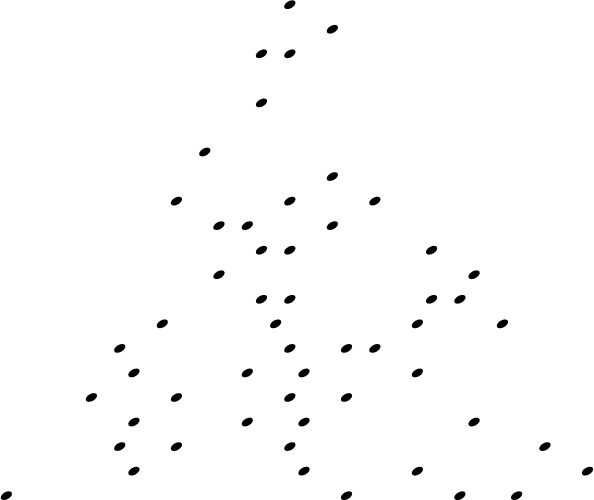 W%    e# Reverse the lines to make the spiral point upwards. N*    e# Join the lines with linefeeds. Try it online! No idea how the online compiler manages to translate graphic output to ASCII, but it does This produces an approximate ASCII plot thanks to an Octave feature that is supported by the online compiler! Edit (April 4, 2016): the function Y[ has been renamed to k since release 13.0.0. The link to the online compiler incorporates this change, so that the code can be tested. The code first generates the individual complex displacements from each integer number to the next. These complex displacements have magnitude 1 and angle 2*pi/3, 4*pi/3 or 0 (in radians). Thus they can be easily generated as imaginary exponentials. For that, the integer sequence 0,1,2,2,3,3,3,4,4,4,4... is used first. This integer sequence is almost like the "n appears n times" sequence (OEIS A002024), and can be obtained as floor(sqrt(2*n)+.5) where n is 0,1,2,3,... . Multiplying by 2j*pi/3, where j is the imaginary unit, produces the desired complex displacements. The displacements are accumulated to compute the positions corresponding to the integer numbers in the spiral. 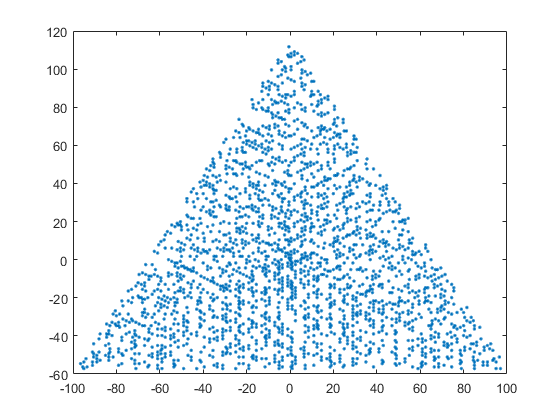 The first integer number in the spiral, which is 1, is arbitrarily located at position 1 in the complex plane. 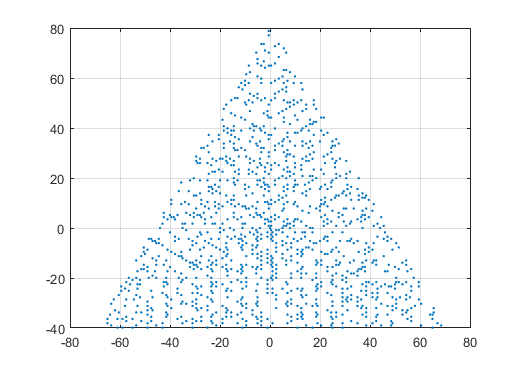 Finally, the positions corresponding to non-prime numbers are discarded, and the rest are plotted in the complex plane. 527 bytes is the full document as above, i.e. including preamble and parameter (here 4000, so ~523 without parameter). Produces a PDF file. Basic idea: well, just draw. Uses a matrix transformation for a triangular grid. Only problem is that also the dots are affected (and stretched) out by the transformation. So I choose for ellipse markers :) what I mean by that is clear in the second image (n=250, 5pt). Another caveat: can only handle up to a bit less than 5000 because of TeX's maximum stack size. The first image is for n=4000. Apparently it is possible to increase the stack size, I didn't try it. Uses only built-in functions, even for prime numbers. Given its vectorized approach instead of iterative, it is fast, but cannot handle huge numbers. Not the answer you're looking for? Browse other questions tagged code-golf ascii-art graphical-output primes hexagonal-grid or ask your own question.